How would you like to have a personal trainer right on your phone? With Amazon’s FREE app, Sworkit Pro, you can have that and more! The app includes guided exercise videos. workouts targeted for specific areas of your body, the ability to customize your workouts based on your abilities or specific areas of weakness, a variety of workouts for everyone, and more! 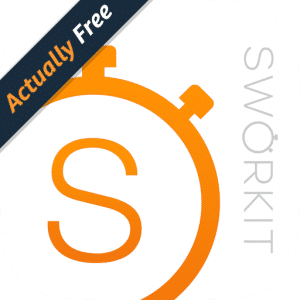 Download Sworkit Pro for FREE and give it a try! Do your children or grandchildren love the movie Frozen? If so, check out this FREE Amazon app! You can currently download Frozen Free Fall from Amazon. 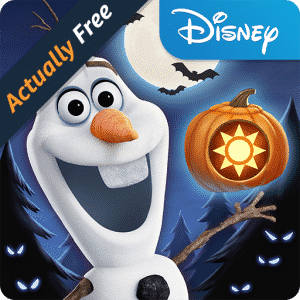 This fun game includes puzzles that are based after Candy Crush but with Frozen characters! There are also exciting fall themed features to this game, making it a perfect download right now! Thanksgiving will be here before we know it, so why not download the FREE Amazon app: A Charlie Brown Thanksgiving! This interactive version of the story A Charlie Brown Thanksgiving is fun for children to read with adults. 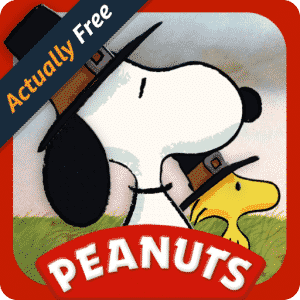 This app allows you to cook with chef Snoopy, play football with Charlie Brown, and more! Do you want to carve pumpkins without all the mess? 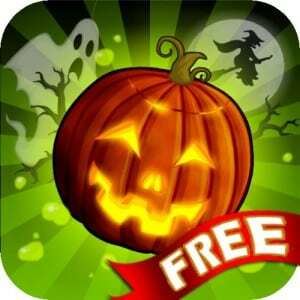 If so, Jack O Lantern Maker is the FREE app for you! This fun app allows you to customize a Jack O Lantern all via your tablet or mobile phone! Add all the features you want to your pumpkin! Jack O Lantern Maker is great for kids, and adults may enjoy it too. Download it for FREE and enjoy it just in time for Halloween! Just in time for Halloween, you can download the FREE Amazon app It’s The Great Pumpkin Charlie Brown. This fun app is perfect for children and parents! 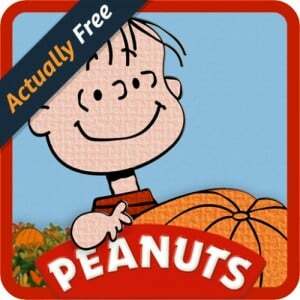 This app allows you to interactively read the book the Great Pumpkin Charlie Brown. Not only do you read the book, but you get to interact with it! You can carve pumpkins, play a song on a piano, bob for apples beside Snoopy, and so forth. It’s a great app. Don’t miss out! Right now, you can download the Amazon app Couch to 5K (or C25K) for FREE! This app is a training program used to help people go from laying on a couch to being prepared to run a 5K. This app has excellent reviews from Amazon customers and was featured in Glamour magazine. The app starts out slow and builds over time to help your prepare for longer runs. To get this app for FREE, you must have an Amazon Underground account. 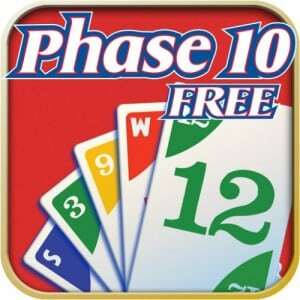 You can download the fun, FREE Amazon app of the day Phase 10! If you enjoy playing Rummy, you will probably love playing Phase 10. Your goal is complete 10 phases first. This is a highly rated app on Amazon. Kids and adults both enjoy this fast-paced game! Download it for FREE and try it out! You can download an awesome FREE iTunes app called YouCam Makeup! With this fun free app, you can edit photos, see yourself with different hairstyles and hair colors, try out makeup colors, and play around with the many other features this app comes with! This app was designed for both iPads and iPhones. Download YouCam Makeup for FREE and give it a try! You can download this fun, FREE Amazon app called Daddy Long Legs. 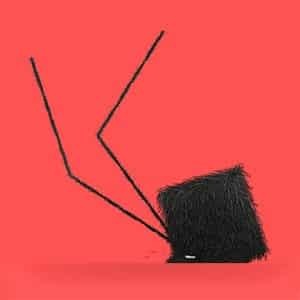 The goal of this game is simple: make Daddy Long Legs walk. That sounds easy, right?? Well, it is not! The game is said to be both challenging and amusing. This game has excellent reviews from customers. Download it for FREE and try it out! For today only, you can download the app Cut the Rope: Time Travel HD for FREE from Amazon! This fun game usually sells for $0.99, but for today only it is FREE! Cut the Rope was the 2014 iKids Award winner and has excellent reviews from customers! Problem solve as you explore various locations and travel through time! 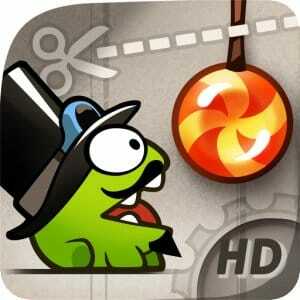 Download Cut the Rope: Time Travel HD while it is FREE!